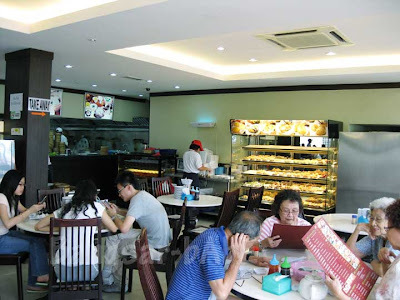 I’ve read good reviews on this dim sum place in Damansara Jaya called Jin Xuan Hong Kong. Curious, Jeen and I went there for lunch last Friday. 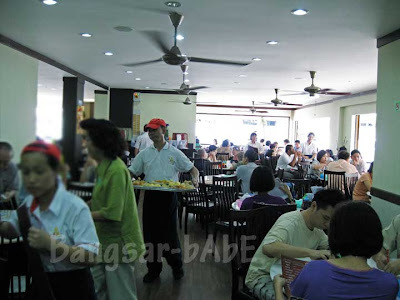 At 12.30pm, the place was quite crowded but we managed to get a table at a corner under the air-conditioning. 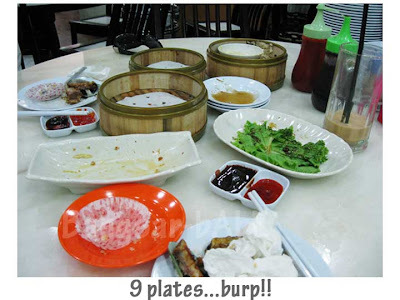 The Ham Sui Gok was said to be good, but I wasn’t too impressed with it. The filling was scarce and lacked flavour. 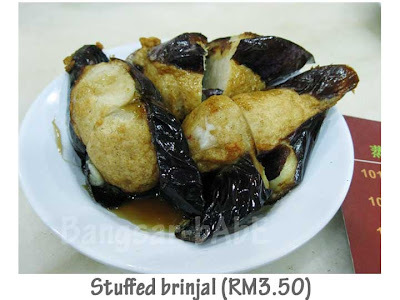 The stuffed brinjal was tasty. 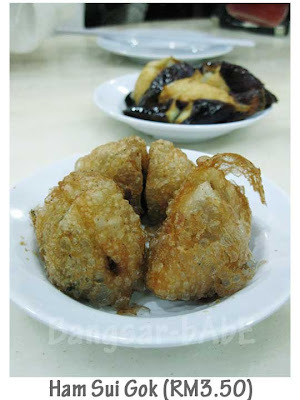 The fish paste was bouncy and succulent, and the brinjal was tender, not mushy. 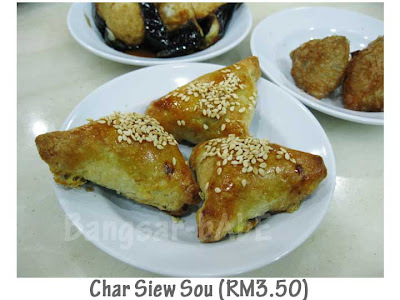 I thought the Char Siew Sou was average. I think Hong Kee’s version tastes better. While the pork filling tasted alright, the pastry was not flaky enough. I wanted to try the mussels with cheese because it looked interesting. 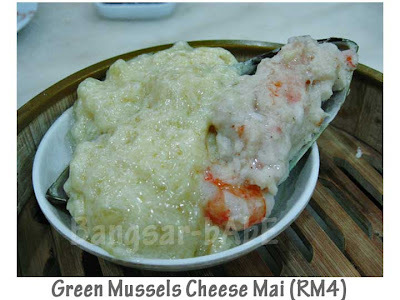 Steamed with prawns and fish paste, and topped with creamy cheese sauce, I enjoyed this. Looks disgusting, but it was anything but. The ribs were delicious. The sides near the bones were a tad tough, but the meaty parts were very tender and juicy. The marinade was beautifully caramelised, making the ribs sticky, sweet and full of flavour. 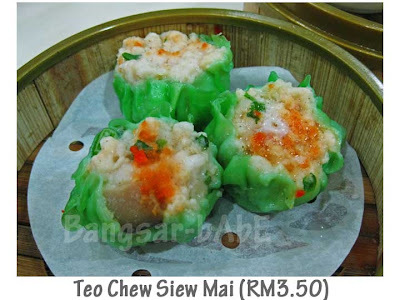 Teo Chew Siew Mai is something I tend to order when I have dim sum. This one was full of filling and topped with coloured roe. It was meaty, juicy and porky – just how I like it. There were plenty of fresh and bursty prawns in the har kau. However, I thought it’s mediocre as it lacked prawn taste and the skin was not as thin as I would have liked it to be. 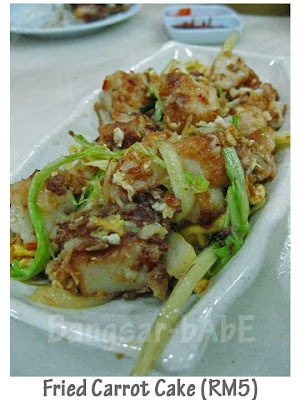 Instead of beansprouts, they used cabbage in the fried carrot cake. Tastewise, it was decent, but I like the version with beansprouts better. I probably wouldn’t order this again. 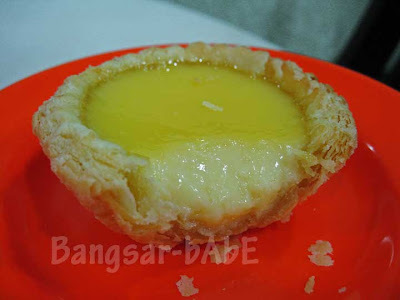 The egg tarts were pretty good. 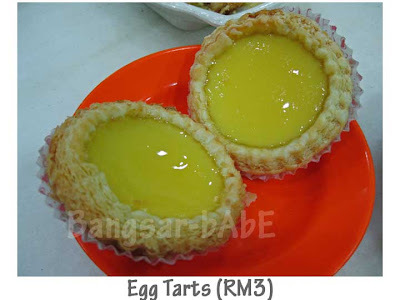 The egg custard was smooth, eggy and not overly sweet. Encased in buttery, flaky pastry, this crumbly ensemble marked the end of a lovely lunch. The bill came up to RM49 inclusive of 2 drinks and 5% tax. 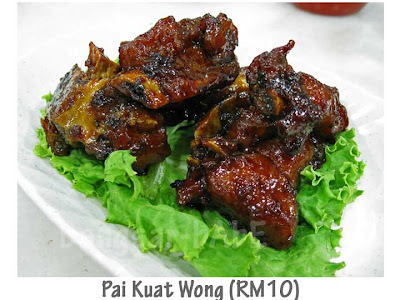 Verdict: A few misses, but the food is generally not bad and prices are affordable. 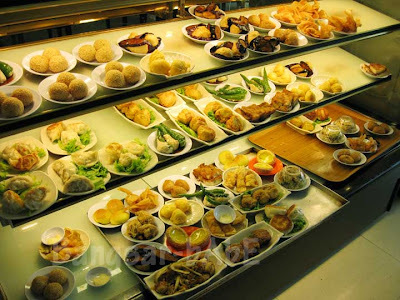 Hey you're not kidding about the good prices… VERY friendly for a weekend dimsum binge! 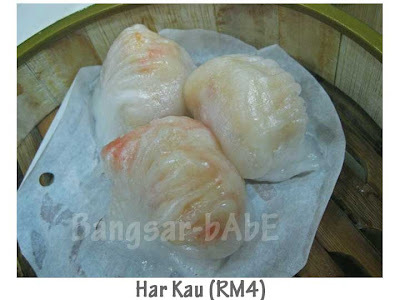 But the cheese mai certainly looks uninviting… like the result of too much food & alcohol regurgitated?? 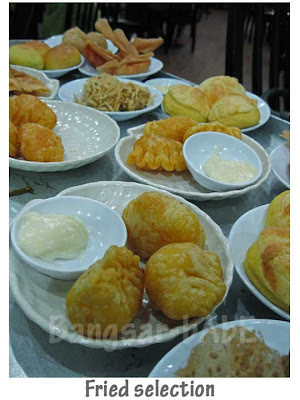 i want the prawn thingies and the fishpaste eggplant. Must try out this place soon – been reading lots about it, hehe! The porky stuff looked good. Really? I didn’t know there was such quote!